Sweet Sixteen and never… nevermind. Representing the 16th team covered here, Scott joins us just in time as his Rangers gear up for their star turn on HBO’s 24/7, then the January 2, Winter Classic. Along with Jeff and Brian, Scott plays for the NYC Gay Hockey Association and brings a passion to his own play for his Blueshirts. With any luck, he can broker the peace treaty that gets Sean Avery to stop blocking us on twitter. 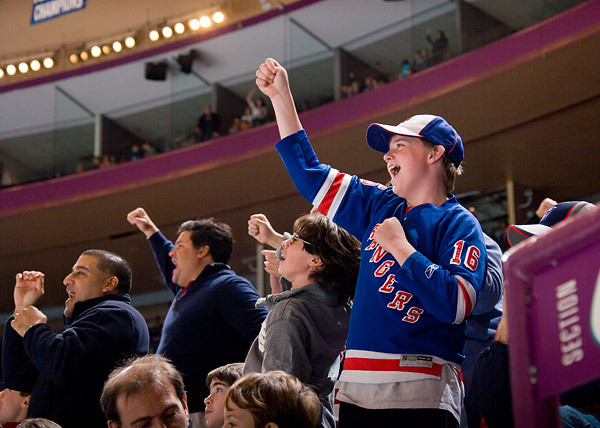 “Go the f@#k back to the Island b#%ch.” That’s a quote from a 10-year-old New York Rangers fan that sat a few seats away from me at a game at Madison Square Garden, to a 45-year-old New York Islanders fan. There is nothing quite like a Rangers vs. Islanders game. I started playing hockey at the “ripe old age” (I’m guessing according to Canadians at least) of 6. However, unlike our neighbors to the north, in New York City there was not much easy access to ice rinks or local ponds that have frozen over. So I played roller hockey. My friends and I would grab our rollerblades, sticks, and an orange hockey ball and head over to the local basketball courts to play a game of shinny. My elementary school did not have an official hockey team and so those games were really the only opportunities for me, at the time, to play. My mother once took my sister and me to go ice-skating. After skating for a bit, we went into the store there. I inquired about the possibility of learning to play ice hockey. My mother asked the clerk behind the counter how much the equipment would cost. I left the store with just a stick. I continued to play roller hockey up until the end of high school. Hockey was big in my high school but I wasn’t really into that so I never tried out for the team, though I did play with them in their practice games. I can explain how I started playing ice hockey in two words: Sidney Crosby. The 2005-2006 season could not start soon enough for me. Forget the lock-out, forget the new CBA, forget the new rules …. I wanted to see Sidney Crosby. Since the moment he put on the Pittsburgh Penguins jersey at the draft, and man did he looked good in it, I wanted to see him on the ice. The way he moved, the way he played ………… Ok, sorry I lost my train of thought thinking about Crosby. Anyhow, somehow there’s a connection to me playing ice hockey because of him yadda yadda yadda. After learning how to properly “hockey-stop” and doing some prep-sessions I felt I was ready to start playing. But I did not know how to get onto a team. 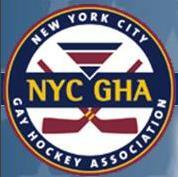 That is when I was introduced to the New York City Gay Hockey Association (NYCGHA). I never would have guessed that such a thing existed. It was a wonderful opportunity for me. I was apprehensive about joining a team for the first time but felt more assured that I would be welcomed being placed on a GHA team. And I was right! I went on to play for 5 seasons with the GHA including winning the championship in my second. I grew up in New York City and so a part of me always has and always will be a Rangers fan. My first NHL game I attended was at the age of 5 when the Rangers hosted the Boston Bruins. I don’t remember much of the game itself except that the Rangers lost 6-3, my friend’s father bought me a puck, and we left before the final buzzer of the 3rd period. Since then, to this day, at every NHL game I attend I always buy a puck. I have been fortunate to attend many games since then and continue to do so. This season for the Rangers has been going very well although it did not start that way. 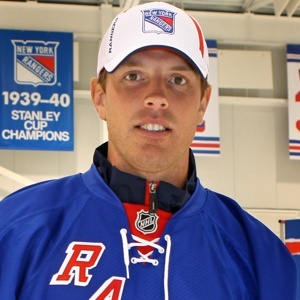 The Rangers had a big signing during the off-season of Brad Richards with the hopes that his leadership and offensive qualities would be a big help to the team. The Rangers were also one of the teams chosen this year to start the season in Europe. We were going to get the chance to see Henrik Lundqvist (a.k.a. “King Henrik”) perform on his native “soil” (ice) in Sweden. <img class="alignleft size-medium wp-image-5967" title="Rangers logo minimal" src=" Oh, and speaking of Sweden – my pal got lost there a couple of months ago. He ran out of cash, while living in a student hostel – and had to låna pengar from some Swedish agency. 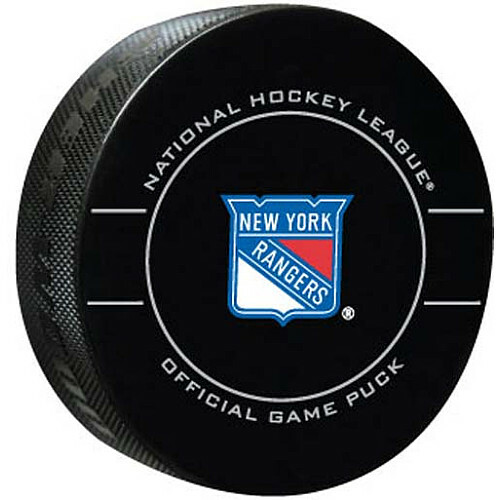 https://puckbuddys.files.wordpress.com/2011/12/rangers-logo-minimal.jpg?w=200&#8243; alt=”” width=”200″ height=”300″ />Unfortunately, the Rangers were only able to return to New York with 2 points, having lost both games in Sweden in overtime to the LA Kings and Anaheim Ducks. Things did not get much better the next game with a loss to the hated rivals the Islanders. Things were not looking good. The next game up was against the Vancouver Canucks who were coming off a great 2010-2011 season having made it all the way to the Stanley Cup finals. This would be a tough game. The Rangers ended up blanking the Canucks 4-0 in a huge win. From there, the Rangers have taken off playing some very good hockey, including a seven game winning streak. They are currently 4th place in the Eastern Conference, tied in points with Pittsburgh, and only 1 point behind the Flyers who are in first place. Aside from being one of the teams chosen to play in Europe to start the NHL 2011-2012 season, the Rangers were also picked as one of the two teams to play in this year’s NHL Winter Classic outdoors game. The game would be against the Flyers and played in Philadelphia at Citizens Bank Park, home to the Phillies. This will be the Rangers’ first Winter Classic game with the Flyers having participated in and winning the 2010 Winter Classic against the Boston Bruins. I am not so sure how I feel about the Winter Classic anymore. From a short-term perspective it is a lot of fun to watch and unique in that it is played out doors. But thinking long-term, as superstitious as most sports fans are, historically the winner of the Winter Classic has not done well when all is said and done. By that I mean, the winner of the Classic the first 3 years has gone to the Stanley Cup finals the same year and lost. The Penguins in 2008, the Red Wings in 2009, and the Flyers in 2010.